On July 10, I had the pleasure of attending the forum and opening of the 2nd USC AAC Exhibition titled Creative Nature in Qingpu on the outskirts of Shanghai. The forum was an interesting presentation & discussion by panelists on the topic of “The New Chinese Landscape”. Several panelists where new to China so giving a fresh perspective, others had been visiting China intermittently over a long period and a few where living and working in China so a wide range of views where discussed. Overall the forum discussion and the Q&A time with the attendees was interesting to hear differing perspectives in relation to The New Chinese Landscape. 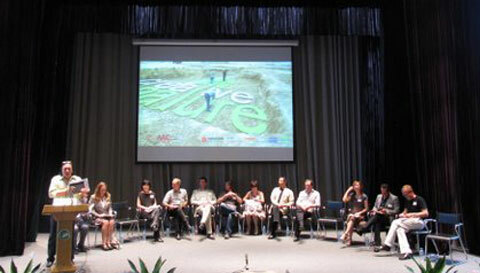 After the Forum was the opening of the Exhibition titled Creative Nature which exhibits the designs of 10 schools that have been granted a parcel of land of the 2011 World Horticultural Exposition in Xi’an. The work will be exhibited at the Qingpu Teahouse in Qingpu, Shanghai from July 10 – August 17, 2010. 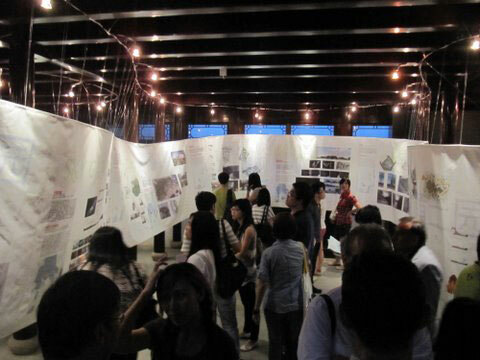 If you can’t make to the exhibition you can view the designs on the USC AAC website. I encourage you to go to the exhibition and visit Qingpu as it has some interesting architecture and landscape architecture. 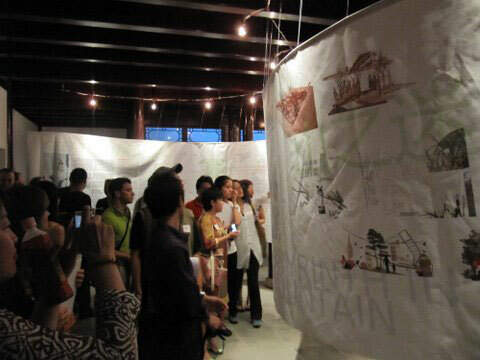 More information at the Exhibition Website. Below are images of the Forum and Exhibition – the work is interesting as each design has taken a different approach in looking at the future of landscape architecture in their designs.